My resolution for 2012 is to sweep the floor more often. Last week I taught some camps. It went well. Next week I will teach some more camps then Saturday will arrive and I’ll give my wife a kiss, board a bus, then a plane, then another plane, and another plane. At some point I’ll be in Osaka at another San Francisco. Then I’ll be in Boston. I picked this up during a book-buying binge last summer. 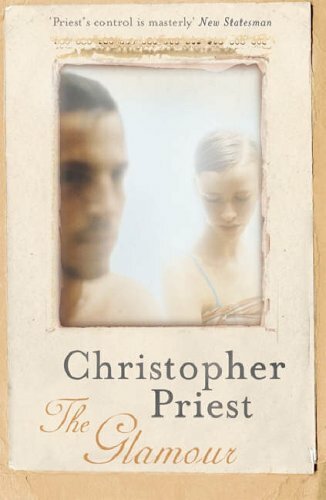 The only other book I’d read by Christopher Priest was The Prestige. I enjoyed that enough to give this a try. The Glamour is a suspense novel that borders on the fantastic about a love triangle between people with the ability to make themselves invisible. It reminded me some of Patricia Highsmith’s Those Who Walk Away and some of Fritz Leiber’s The Sinful Ones. Nothing much happens for the first 100 pages, but I found myself swept along and reading anyway. The middle section, narrated by Sue, the woman torn between two men with varying degrees of “invisibility”, was the highlight where she talks about “the glamour”, the ability to become unnoticeable, and their subculture in modern day London. Of course, “the glamour” also operates as a metaphor for certain social anxieties. Some might prefer it to be either one or the other – metaphor or speculative element, but magic powers as a metaphor for a universally observable social experience fits well with all the unreliable narrators, doubling, and pomo identity hijinks Priest employs in his novels. If that metaphor in the end makes me regard social experiences differently, then I’d say it’s successful. To Priest’s credit he stays balanced on the border long enough to explore interesting ideas and resists the desire to provide simple solutions to them. I would have all the nobility crop their titles and give their lands back to the people. I would have the Pope throw away his tiara, take off his sacred vestments, and admit that he is not acting for God — is not infallible — but is just an ordinary Italian. I would have all the cardinals, archbishops, bishops, priests and clergymen admit that they know nothing about theology, nothing about hell or heaven, nothing about the destiny of the human race, nothing about devils or ghosts, gods or angels. I would have them tell all their “flocks” to think for themselves, to be manly men and womanly women, and to do all in their power to increase the sum of human happiness. I would like to see all the politicians changed to statesmen, — to men who long to make their country great and free, — to men who care more for public good than private gain — men who long to be of use. I would like to see the whole world free — free from injustice — free from superstition. Me: Finally, we’ll have something to talk about in my conversation class. My conversation class student: I hear the son is worse than the father. Coworkers at lunch: Not saying much, but hearing his name and South Korea’s president Lee Mynug-Bak’s name thrown around. But certainly there’s no panic in the lunchroom. Some students: Who cares!?! We want to play Halli Galli!!! Friends on Facebook: Equal parts panic and gallows humor alongside Team America clips and quotes of “Ding dong, the witch is dead”. One or two asked when I would be leaving Korea. Me (hearing loudspeaker truck drive by making an announcement): Is that important or is that just someone selling bananas? Kim Jong-Il has died. I made the joke on Facebook that the Atlas Obscura will have to update their list of Communist mummies soon. More seriously though… wow. I have no idea what this means or what will happen next. This event has the potential to bury the previous two crises I’ve witnessed in the sand. Or not, because when it comes to North Korea I think we’re looking at a heavily armed and militarized inkblot. 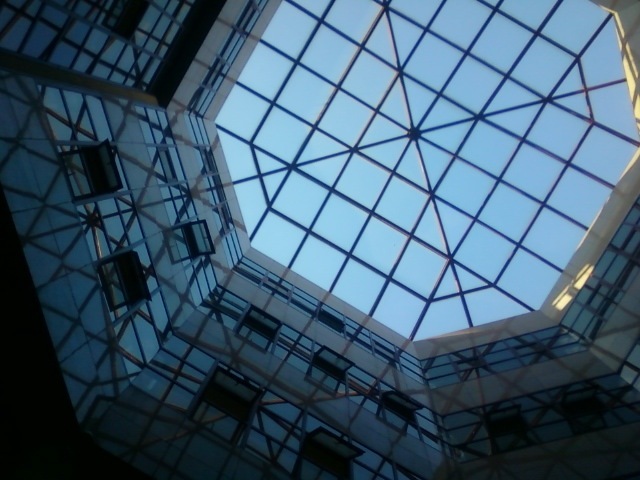 Who knows what’s happening inside it. I’m sure some people do — but the truth seems to get buried beneath our projections. Right now South Korea’s on military alert. From past experiences the North has reacted to internal instability with external aggression. For this reason alone going on alert seems justified. But the war didn’t turn hot again in 1994 when Kim Il-Sung died, so it’s not like we haven’t been here before. Whether Kim Jong-Un, Jong-Il’s successor and son, lives out the rest of the month is another matter. Crazy times ahead… well, crazier.